On safari with just six adventurers in the lightly visited national parks of Zambia and Zimbabwe, we touch the African wilderness as it existed more than a century ago—a vast, raw landscape of rocky escarpments, powerful rivers and floodplains brimming with wildlife, including huge herds of elephant and Cape buffalo, boisterous pods of hippo, rare wild dog and endangered rhinoceros. Zambia and Zimbabwe offer some of Africa’s most prolific and diverse wildlife viewing, as animals congregate in large numbers on the Kafue Plains, in the Hwange region and along the Zambezi River in Mana Pools. We also find some of the best naturalist guides in Africa here—many are seasoned leaders of walking safaris that offer the closest possible encounters with the natural environs. Round out this rare safari adventure with a visit to Victoria Falls, a World Heritage Site shared by these two neighboring nations. 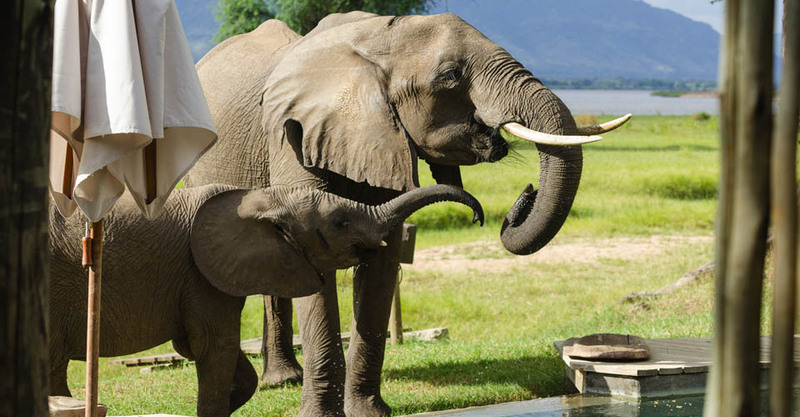 You Won't Find a More Personalized Safari to Zambia & Zimbabwe! This optimal itinerary has been designed in conjunction with WWF to provide a premier experience of these two less-visited safari countries. Our carefully crafted route ensures solitude while revealing a tremendous diversity of wildlife, habitats and dramatic landscapes—much more than you’ll typically find on any other Zambia or Zimbabwe safari. 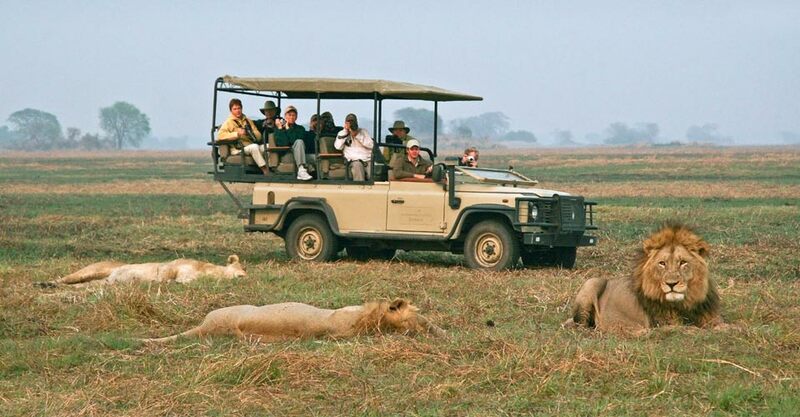 Any African safari is better with a smaller group, and we run this trip with just six guests, with a window seat for each individual on wildlife drives. Such small numbers foster a much more intimate experience in the bush, as well as the ability to stay at smaller camps in more remote settings. Chartered light aircraft flights (rather than long, dusty drives over rough dirt roads) between safari locations allow us to spend more time actually on safari, rather than in transit. Instead of staying in places where visitor density is higher, we retreat to private reserves wherever possible, with small-scale accommodations set among a profusion of wildlife. Yet despite our solitude, we don’t lack for comfort, always choosing the highest-quality camps that offer surprising luxuries belying their remote locations. Most Zimbabwe safaris include a visit to the country’s flagship Hwange National Park, less frequently to Mana Pools, and occasionally both. Our itinerary not only includes visits to more remote sectors of these two treasures (Mana Pools is a UNESCO World Heritage Site), but we also visit the wildlife-rich plains of Kafue National Park just over the border in Zambia, a rare inclusion on most Southern Africa itineraries...plus Victoria Falls National Park, and Mosi-oa-Tunya National Park (also a World Heritage Site) for rhino tracking! While classic game drives offer plenty of exhilarating wildlife viewing, we know how much silent, eye-level encounters can enhance your overall safari experience. That’s why we include a diversity of activities, from boat excursions to guided bush walks—a special feature on your safari, featuring interpretation by some of Africa’s most renowned walking safari leaders. Fill out the form below to receive additional information about our Hidden Jewels of Zimbabwe & Zambia. Hi Nat Hab, I’m interested in your Hidden Jewels of Zimbabwe & Zambia. Can you please contact me with more information?